Here at Tuffa Tanks, oil tanks are a huge part of our trade, it is our bread and butter. We know them inside and out – quite literally, as we manufacture them for a multitude of industries – but that doesn’t mean that we are all as au fait with the oil, petroleum and fuel sector, including its varied uses around the globe. It goes without saying that when asked the question “what do we use oil for?” we could all answer to heat our homes and to fuel our vehicles, but what else requires the use of oil? There are many different and varied uses – some might be obvious while others are not so much – let’s take a look. Lipstick – okay, so this one might be obvious given it’s rich, smooth and oily texture. Many lipsticks and lip balms are created using petroleum based paraffin wax, helping to not only give structure but to ensure a smooth finish on the lip. Toothpaste – you wouldn’t brush your teeth with oil… or would you? Oil pulling is a technique that many celebrities have tried as a means of making their teeth whiter lately, but there is still oil in normal toothpaste as it is. Sweets and Gum – many gummy sweets these days have an oily texture and sheen to them because of carnauba wax, but chewing gum is unlike other treats. However, as food manufacturers are much more open with ingredients these days, the gum base is cited as being made from a range of different ingredients, including petroleum. 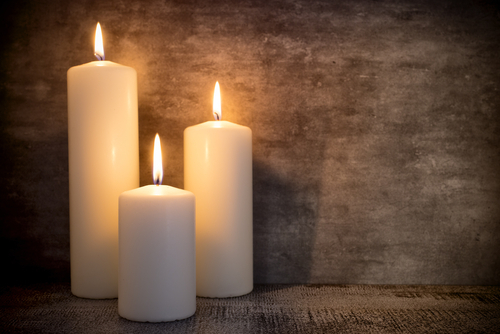 Things Around the House – Candles are the most obvious items around the house that are crafted using oils – like the ones found in soy wax. However, sporting equipment such as tennis rackets and even everyday items like deodorant can contain oil based products. While these items aren’t always the first things that come to mind when you think of oil tanks and their contents, they most certainly play a huge part in the industry throughout the UK and the world. Traditionally speaking, the tanks that we manufacture and sell are used to heat homes and businesses, and fuel vehicles such as cars, boats, and aeroplanes. In addition to this, we also create tanks that are purpose built to house chemicals, water, dry food, molasses and much more besides. Whatever your industry – petrol stations, farming, or even heavy goods transit, we are here to help. Our tanks are bunded for the safe storage of a valuable asset, and for an additional layer of security against leaks and spillages that can impact the environment. Want to know more? We’re always on hand to answer any questions, so please do give us a call on 01889 567700 if you have a query.